Counselor. Teacher. Lawyer. Dale Stone wears many hats when he assists clients in developing and implementing plans for the effective and efficient disposition of their assets. Dale has over thirty-four years of experience guiding clients through the personal and practical aspects of estate planning and estate administration as well as the legal, economic and tax issues involved. For owners of family businesses, Dale coordinates planning for the preservation and continuation of the business itself with the owner’s personal plan. Dale is designated by the National Association of Estate Planners & Councils as an Accredited Estate Planner. Listed in The Best Lawyers in America and Super Lawyers Alabama in the area of Trusts and Estates, Dale has been named multiple times by Birmingham lawyers as “Best in Estate Planning” in the Birmingham Business Journal’s “Best of the Bar” poll. 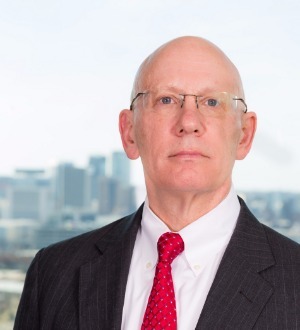 Among his professional affiliations, Dale is a Fellow and past Alabama State Chair of the American College of Trust and Estate Counsel and is a member and past President of the Estate Planning Council of Birmingham. For fifteen years, Dale was an Adjunct Professor of Estate Planning at the University of Alabama School of Law and he continues to serve his profession presenting seminars on topics related to estate planning, estate administration and wealth transfer. An adult education teacher and past Senior Warden at St. Mary’s-on-the-Highlands Episcopal Church, Dale is married to Pam and has an adult son, Jeff.